Campaigning for the Northern Provincial Council was so miserable that I decided to spend election day as far away from politicians as possible. 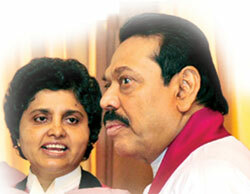 Both the UPFA and the TNA disappointed. Two months ago, I wrote a piece saying how bright the future would be if the totally useless discourse of patriots versus traitors could be done away with, as seemed to be happening with the TNA having nominated Justice Wigneswaran as its chief ministerial candidate and the UPFA talking of putting forward Daya Master. But within days of publication, the UPFA had done a u-turn and declared that no former members of the LTTE would be included in its list, leaving it free to equate the TNA with the LTTE and argue that a TNA victory was bound to lead to the establishment of a separate state. The TNA behaved no better, doing its best to restore the links with the LTTE that it had so successfully severed during the nomination process, with Justice Wigneswaran going to the extent of calling Prabhakaran a hero – very heroic, wasn’t it, shooting people who weren’t willing to die shielding him from defeat? 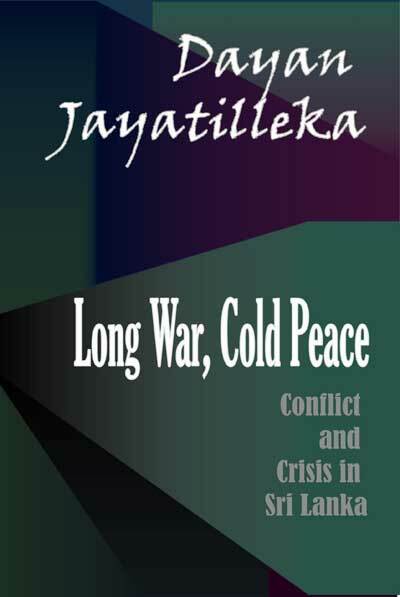 As I watched television the night before the election, almost every other sentence referred to the LTTE. Yet there is no such organisation in Sri Lanka today. What can be found are Tamils, and they are worse off as a community than they were three decades ago. The LTTE failed them, whether they realise it or not, and it is up to those of us who care about the country to ensure that the TNA does not do the same. I am hopeful, but the election campaign was a reminder of how dangerous politics can be. With that in mind, I spent election day trying to understand what life is like for the people who suffered the most in the war. Because it is this same group who will suffer if the TNA cannot sustain the peace. A couple of around the same age as my parents welcomed me for the weekend in their home a few miles outside Kilinochchi. In their four acre property they have a well, which needs to be repaired but is still offering up water, albeit not of a very enticing colour. Anyway, we drank from it. They don’t yet have a proper toilet either, so we also carried water from the well to another makeshift but quite reasonable arrangement some distance away in the bush. They are still waiting for help with basic infrastructure, but their situation is not desperate. Incongruously, they already have electricity, and a television and a fridge and various other ‘luxuries’ provided by their children, who have lived near Colombo for years. This support from relatives is vital, since they have very little income. They make a ‘living’ by running a vegetable shop in the Kilinochchi market, but I saw for myself that there is not enough custom to sustain all of the traders. How they are going to continue even this poor existence as they age further and are unable to cycle the quite considerable distance into town on a daily basis, I don’t know. They hope to clear their land and start cultivation when the rains come next month, but that too is no life for the elderly, and all of the youth of the area are busy looking for opportunities to get out. Starting to build their lives again at 70 years of age is a pretty appalling prospect. In terms of basic infrastructure, many of their neighbours are better off, with numerous newly constructed houses to be seen in the surrounding area. Almost everybody seems to have received bicycles and household items from NGOs. Some have also been given farming equipment and animals. 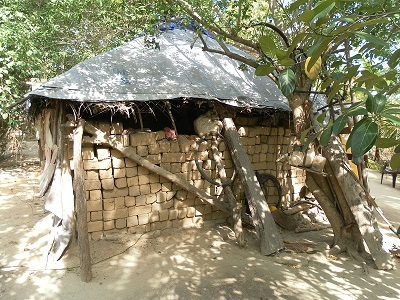 It is interesting to note that while the husband believes that the reason they have not yet received many of these things is that allocations are being made according to the number of members in the family, the wife feels that they are being discriminated against by their local government official, curiously enough for not having given their children to the LTTE. A friend of mine living abroad wanted me to ask them why they support a party that according to allegations made to the American Embassy ran or runs prostitution rings for the Army. I told him that these people have never heard of Wikileaks – the source of the story. They don’t know English and they had never used the internet before I helped them to have a chat with one of their sons over Skype. For me, such questions are tantamount to harassment. Neither he nor I paid more than a brief visit to the Vanni when it was under the control of the LTTE. We did not experience the fighting up close. And we did not live in Manik Farm. These people went through all of that. 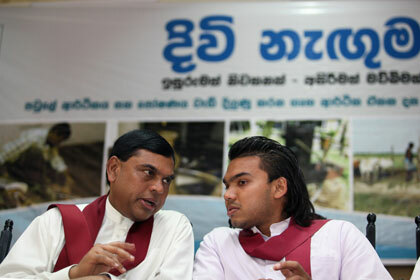 Anyway, in those days, the TNA was supporting the LTTE, which is proven to have done much worse. The suggestion seemed rather intolerant, and indicative of the politics of people like us who are generally quite ungrounded in the various realities of Sri Lanka. It was a real pleasure to see the old couple go out to vote on Saturday, and to talk to many others who found time in their days to do the same. The mood in Kilinochchi seemed upbeat, as indeed it had on Friday and did again on Sunday. People went about their business as usual after voting. The Government must be congratulated for accepting the inevitability of a TNA victory and ensuring that election day passed more or less without incident. In Kilinochchi, the Campaign for Free and Fair Elections reported that thugs attacked one of its monitors who objected to food being given to voters by EPDP, but otherwise there was very little to complain about. Of course something like 90% of the posters on view in Kilinochchi were for the SLFP, plus another 5% for EPDP and only 1% for the TNA. But that just goes to show how useless it is to ruin the environment and spend money that generally has to be earned via untoward activities trying to win over the public with posters. The result in Kilinochchi was almost the exact opposite – the TNA received 82% of the vote and got three councillors elected, while the UPFA received 17% of the vote and got one councillor elected. There were more serious incidents elsewhere in the Northern Province, but even they compared favourably with the norm in Sri Lanka and with the experience in the other two provinces that went to the polls on Saturday. The result itself, combined with the high turnout – 73% in Kilinochchi – did more to demonstrate the return to normalcy than any of the Government’s rather silly propaganda. Indeed, I was very happy to note on my way from Colombo that no member of the Security Forces attempted to find out where I was going or what I was doing – as they should have understood long ago, this only reinforces the feeling that they have something to hide. The Omantai checkpoint was a symbol of the disunity of the country. The major problem in Kilinochchi would seem to be the shortage of business, largely due to the fact that the entire population was displaced and in the process lost everything they owned. That is why land is so important – it is the only capital that people have, and very few of them are in a position to buy anything other than the ‘essentials’ that it produces. Acquisition by the Security Forces for their quite bewildering array of camps in the North is bound to be a major source of ongoing conflict so long as no reasonable alternatives are found by means of a genuinely consultative process. This should also include some effort to assess the environmental impact, since the camps must at the very least place an additional burden on water supplies in what is a relatively dry area. The impact on the livelihoods of the people affected by them must also be considered. The TNA position on the military presence in the North is clearly ridiculous – they insist on a return to pre-1983 levels – but the Government should understand that it is in its best interests to settle the issue once and for all. Even they can’t possibly believe that all of the land they are occupying is genuinely needed. Not far from where I spent the weekend, the Security Forces have set up a training camp – an assault course is visible from the road. Obviously that need not be in the outskirts of Kilinochchi. But land alone is not enough, and the TNA must immediately get going on its promised comprehensive plan for the development of the Northern economy. The UPFA did not get much beyond transportation, which is useful but certainly not sufficient – at the moment, it is mostly used to transport goods from the rest of the country into the North and people from the North out. Fortunately, Justice Wigneswaran and his colleagues will soon realise that they have no future as politicians if they can’t persuade Tamils to continue living with them.